Polo shirt by PETER HAHN. Design ANDREA with short sleeves. Slightly elasticated piqué with airy granular texture. 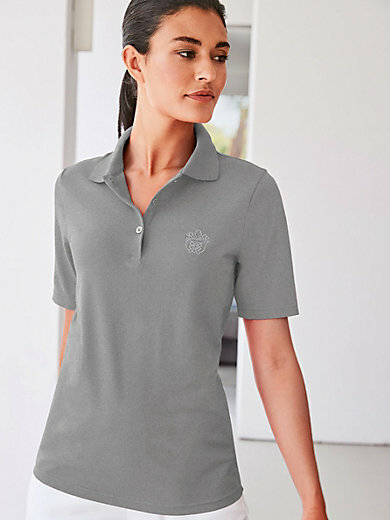 Casual style with short sleeves, short button front, rounded hem and a small embroidered emblem. 97% cotton, 3% elastane. Length approx. 26ins. The polo shirt is machine washable.